Bithumb, South Korea’s second-largest cryptocurrency exchange in trade volume, said Wednesday it would suspend transactions in user accounts after some 35 billion won ($31.6 million) worth of assets were stolen. The financial loss stemmed from “abnormal outside access” that occurred from Tuesday night until Wednesday morning, its spokesperson said. “(Bithumb) will suspend all money deposits or withdrawals, until we secure the stability of the service,” read the announcement Wednesday morning at 9:47 a.m. The operator has yet to disclose when trading would resume. 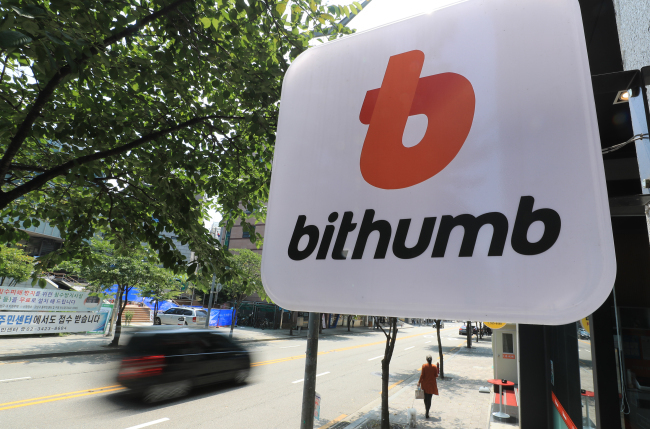 Bithumb plans to compensate for all financial damages of customers, using crypto assets owned by exchange operator BTC Korea, according to the announcement. The exchange added it transferred the remaining cryptocurrencies into a “cold wallet” -- offline hardware storage for crytpocurrencies. Earlier Wednesday around 1:10 a.m., Bithumb in an earlier post said it would “urgently” change the system to deposit cryptocurrencies on growing security threats. The price of Bitcoin, the largest cryptocurrency in market cap, tumbled 2 percent as of 10:30 a.m. Tuesday, according to market tracker CoinMarketCap. This came about a week after a hacking attack on another Korean cryptocurrency Coinrail led to an over 40 billion won loss. Coinrail said Monday it would resume trading on July 15.